Landing should have occurred (my feed is a little behind). And with that, I seriously need some sleep! Hi-res landing photos from Bill Ingalls should be uploaded here shortly. Not exactly packed at MCC-H FCR. 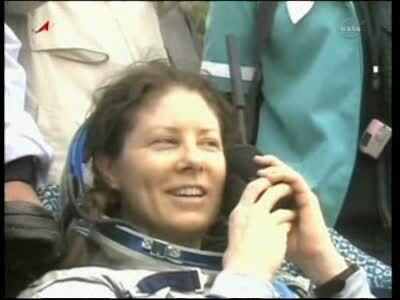 I'm glad Tracy's flight ended on a nominal result! 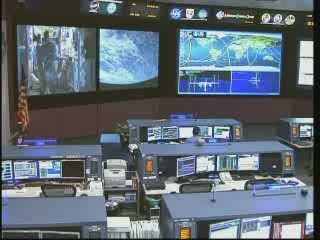 NASA PAO Rob Navias reporting landing coordinates. 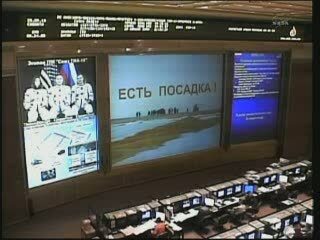 Reports landing was very close to the prediction. 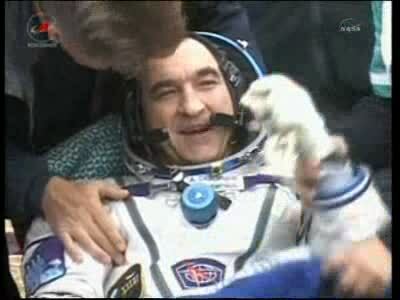 That's one very happy cosmonaut! 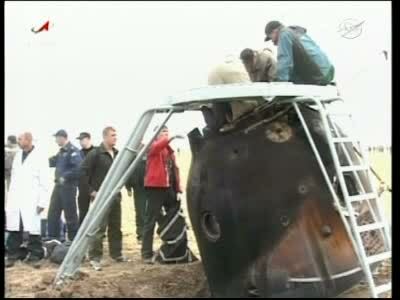 Expedition 24 crew is out of the TMA-18 vehicle. Right, going to finish off a STS-133 article. Thanks to GoforTLI for the excellent coverage. 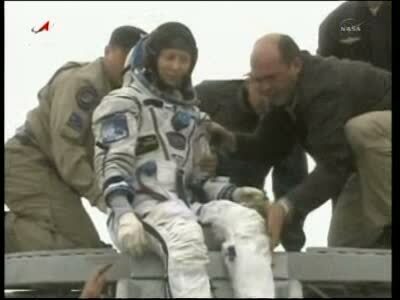 Anyone know if they will try to locate the heat shield which was released after parachute opening? How about the pilot chute or drogue chute? 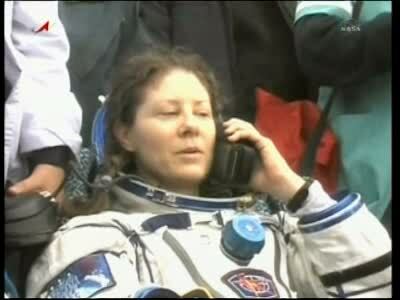 up a six-month stay aboard the International Space Station. 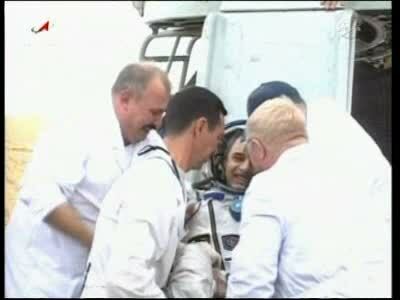 Following undocking and a normal descent, the crew landed at 1:23 a.m.
Center in Star City, outside of Moscow. 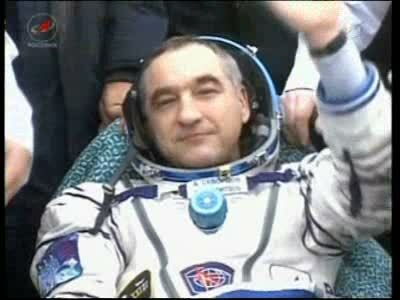 Flight Engineer Fyodor Yurchikhin, who arrived in mid-June. 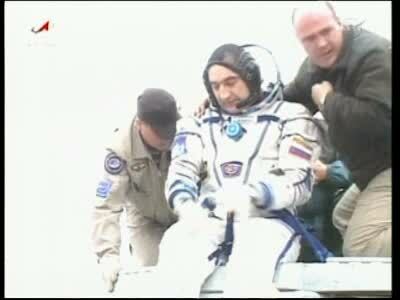 and arrive on the station about 48 hours later.